This one is really a big dill. It is a pun. Just to clarify. 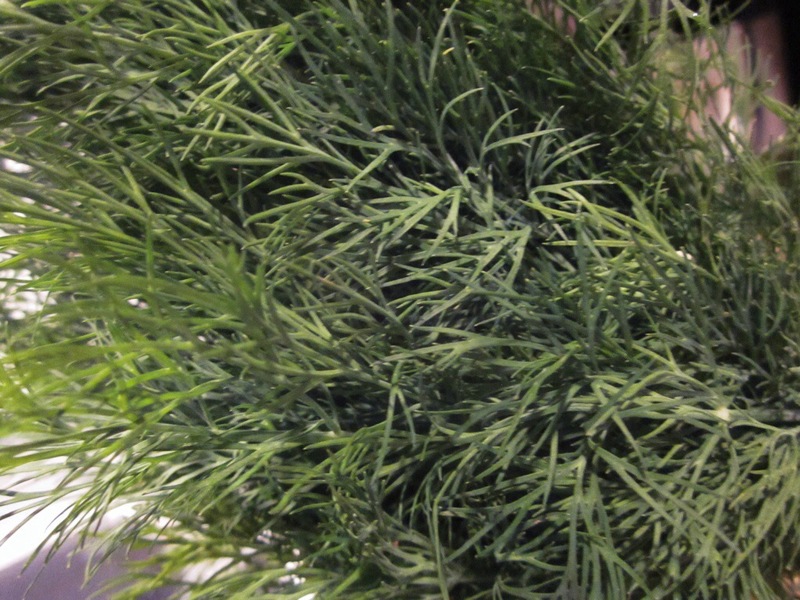 I found the fronds at my favorite farmers’ market. I love fresh herbs, so I’m not digging into the dill seed here. The color is like a magnet, and so is the scent. It’s fresh, bright, and kind of tangy. The flavor is the same. It’s from Southern Russia, Western Africa, and the Mediterranean. The ancient Greeks and Romans believed it was a sign of wealth… must be the color. I always wrote it off as a pickle partner, a salmon sidekick, and a perk of potato salad. Recently, though, I tasted in tzatziki sauce at my favorite Greek restaurant. It brought the already vibrant condiment to life. At that point, I knew I had to have it. That one use inspired me. I used dill two ways: In a chicken marinade, and in a coleslaw. 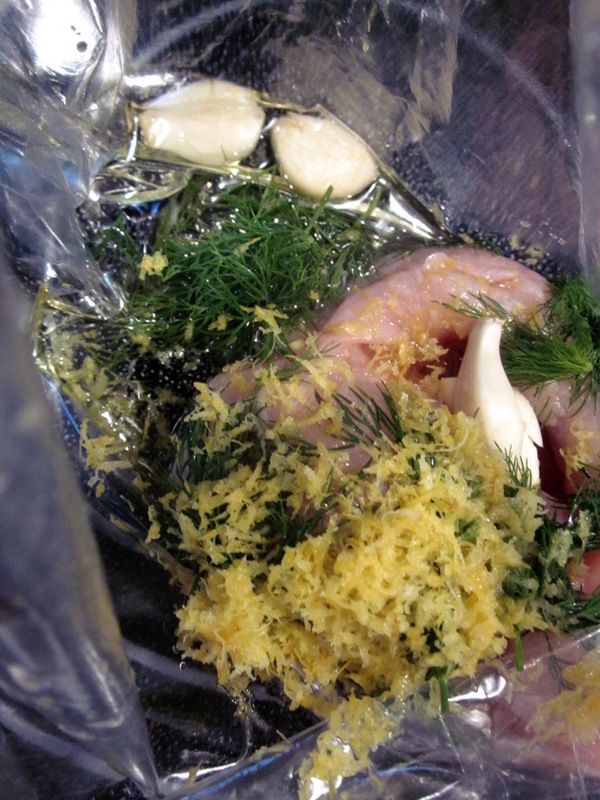 For the marinade, I combined it with olive oil, lemon juice & zest, and garlic. I grilled the chicken. It was delicious, but the dill flavor wasn’t exactly there. I wanted it to be a cross between its namesake and tzatziki. Using the shredding blade on a food processor, cut up the cabbage. You could also slice this by hand or shred it on a grater. 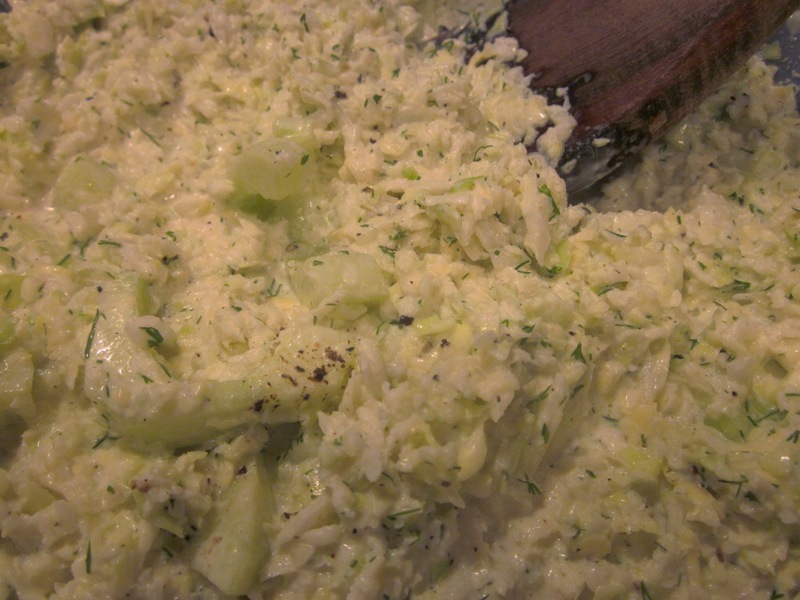 In a large bowl, whisk together the mayo, vinegar, powders, and dill. Add a good pinch or 2 of salt, and a couple of cracks of black pepper. 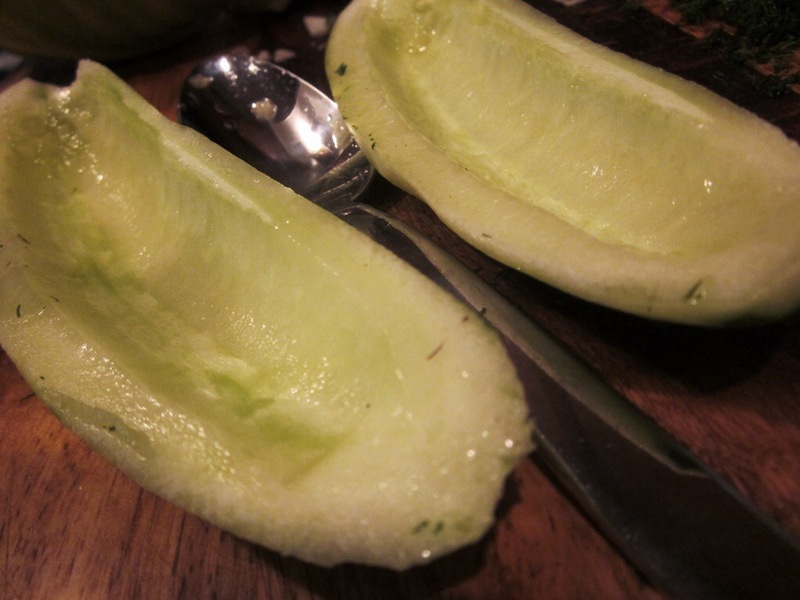 Cut up the peeled and seeded (cut the cuke in half lengthwise and use a spoon to scoop out the seeds) cucumber into slices. Add the cabbage and cucumber to the sauce. Mix. Taste. Add salt if needed. It’s best to let this sit for a good 20 minutes to let the flavors get it on. 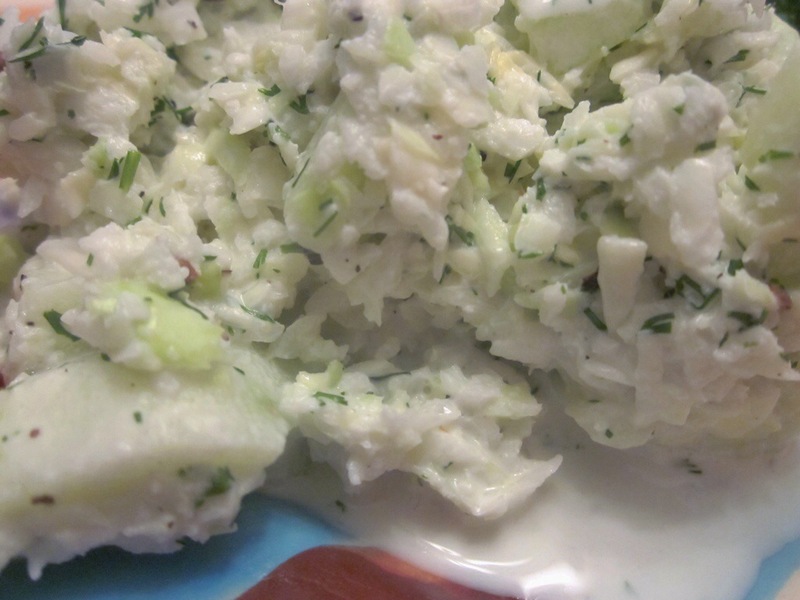 This dill tzatziki-slaw is much healthier than your common coleslaw, which is loaded with fatty mayo. I put in just a tad bit, but let the thick and tangy protein-packed yogurt do most of the work. 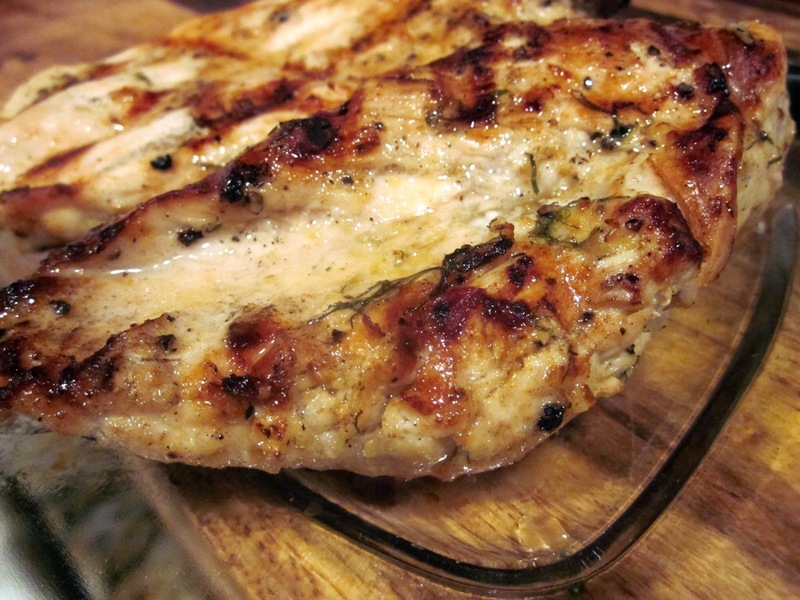 I served this with the chicken and steamed broccoli seasoned with salt and lemon juice. 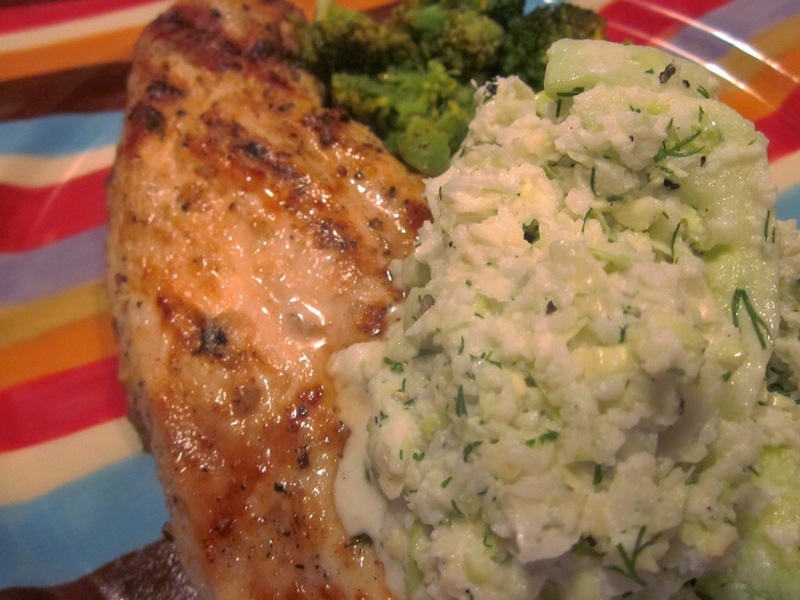 The lemon in the broccoli worked well with the dill and the tangy tzatziki-slaw. I’m not a huge fan of wet salads leaking and spreading onto my other foods, but in this case, it works. The seeping sauce from the slaw added extra flavor to the chicken. The slaw is crunchy and refreshing. It smells as good as it tastes. 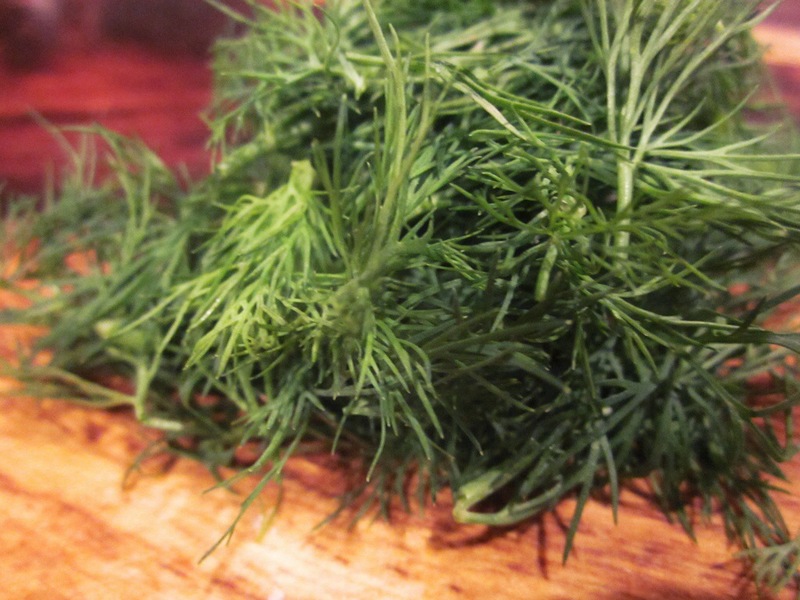 If dill didn’t look and feel like a feather duster, I’d hold it like a cone of cotton candy and go to town. 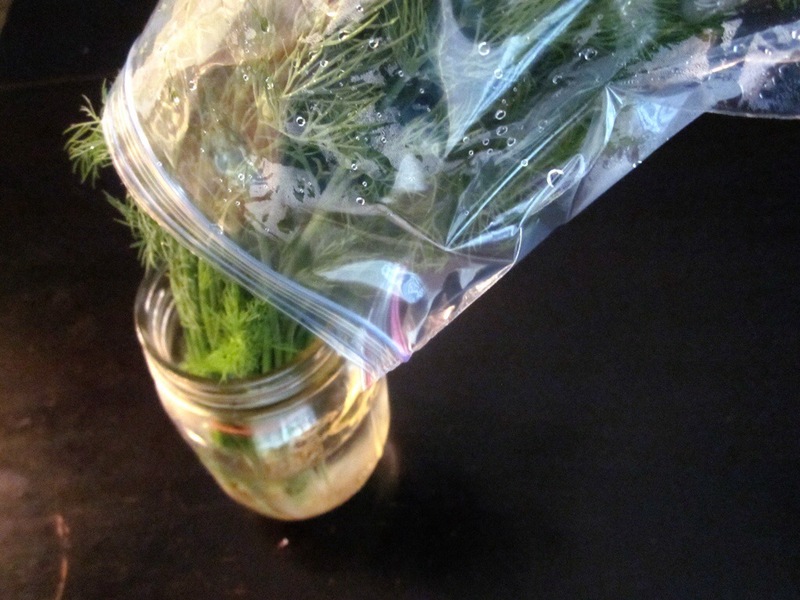 Tip: Store your fresh dill in the refrigerator by putting it in a jar filled halfway with water. Then tent the fronds with a resealable bag. 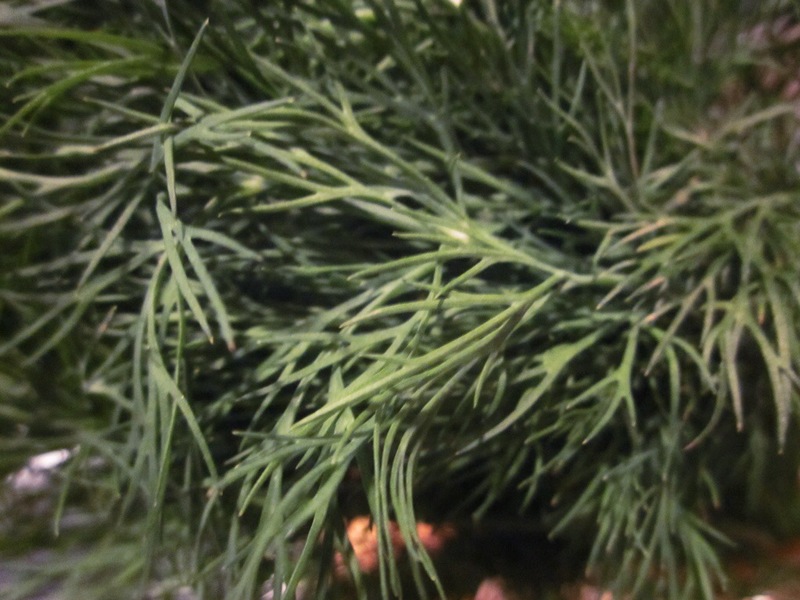 My dill came with the roots still attached, so this worked out perfectly. It still looks great (nearly a week after I got it). This really works with fresh herbs in general. If they don’t have the roots attached, snip just the bottoms off the stems, and stick the remaining stem (and leaves) in the jar of water. Keep in the fridge. You’re better off leaving basil in water at room temperature.